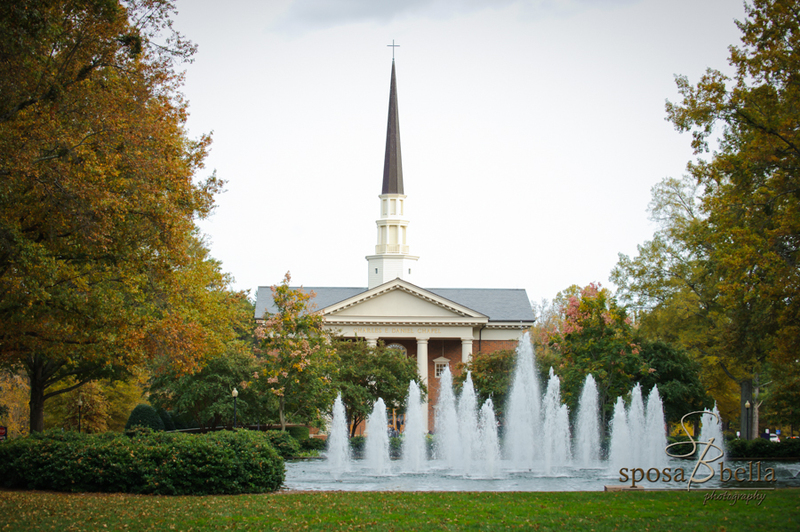 Just a short 10 minute drive north of Greenville lies the Furman university campus. Although the university claims Greenville as it’s home, it actually sits within the city limits of Travelers Rest. 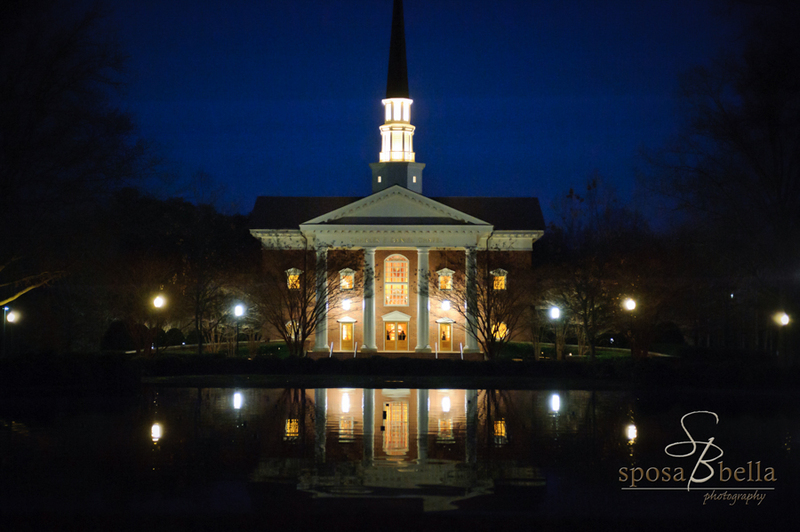 The Charles E. Daniel Memorial Chapel at Furman University sits proudly on the main mall facing the dramatic fountains. 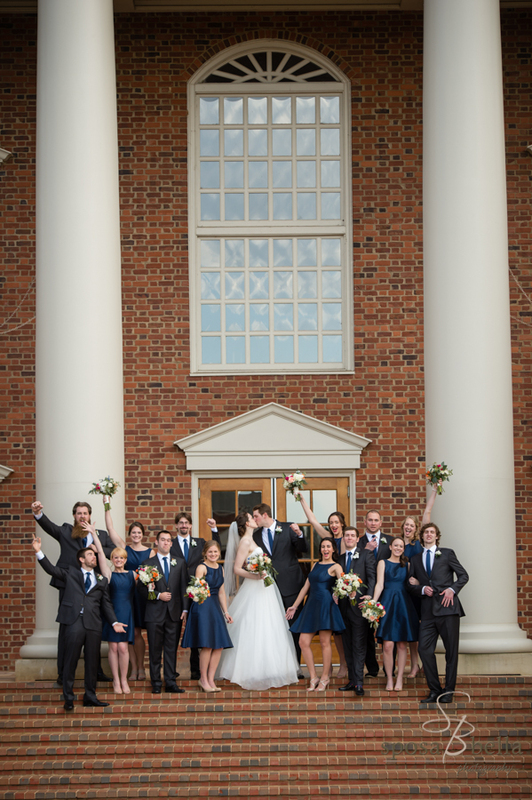 It is a stunning ceremony venue, and highly sought after as a church with a grand center aisle that allows non-members to be married. 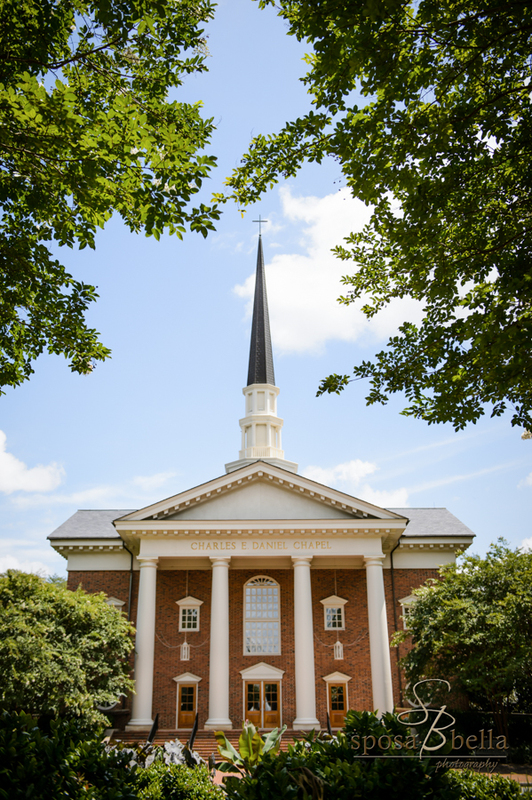 The exterior of the chapel is a traditional red brick church with an awe-inspiring steeple. The front porch is welcoming and regal with four imposing columns. Once inside your eyes will be immediately drawn to the front of the sanctuary to the Hartness Organ built by famed organ builder C.B. Fisk. 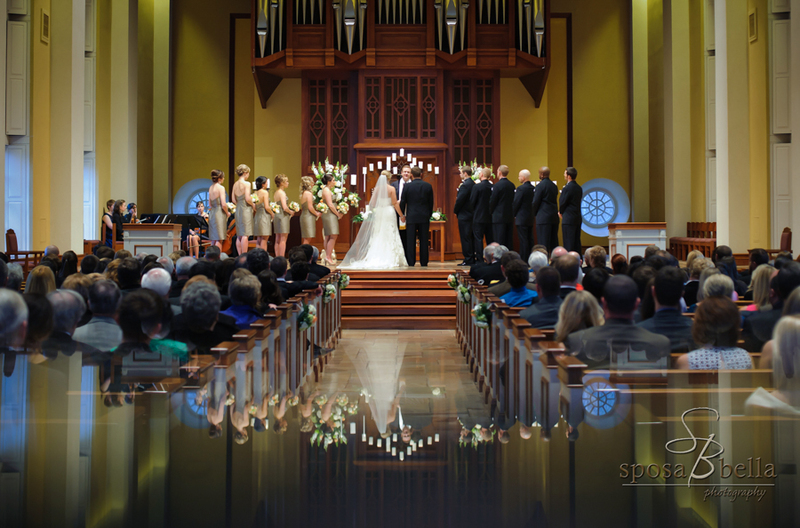 The 2,900 pipe organ covers the entire wall behind the alter. And the sound it produces is tremendous, any bride would have goosebumps as the chapel doors open, guests stand, and the music spills out. 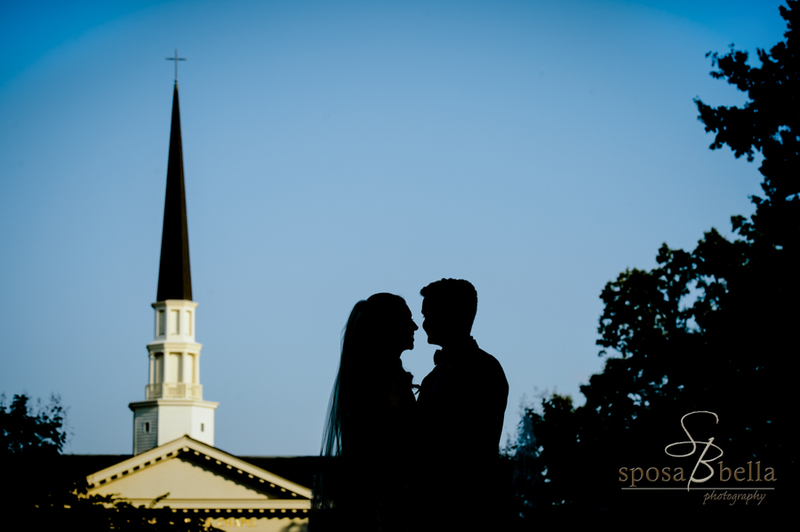 The interior of the chapel is a photographer’s delight, we could spend the entire time photographing wedding party, family, and the bride and groom inside the chapel itself. 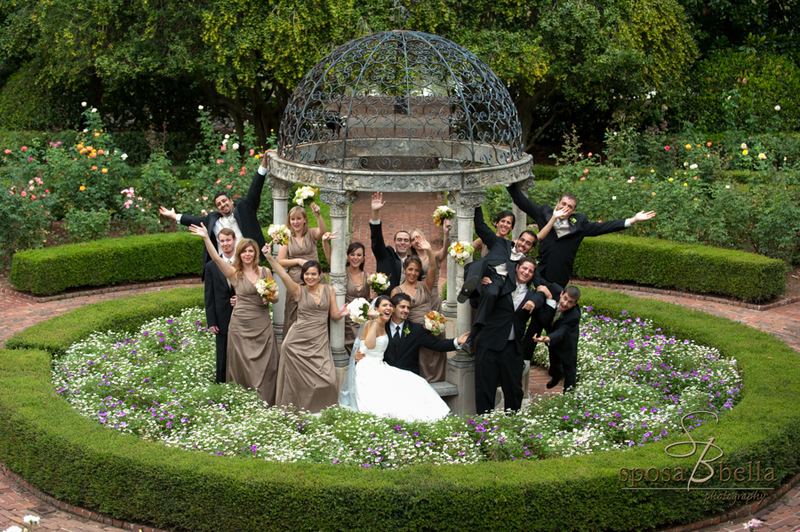 However, just outside the chapel lies a wealth of options for beautiful outdoor settings. And we’re not just talking about the mall that the chapel sits on. 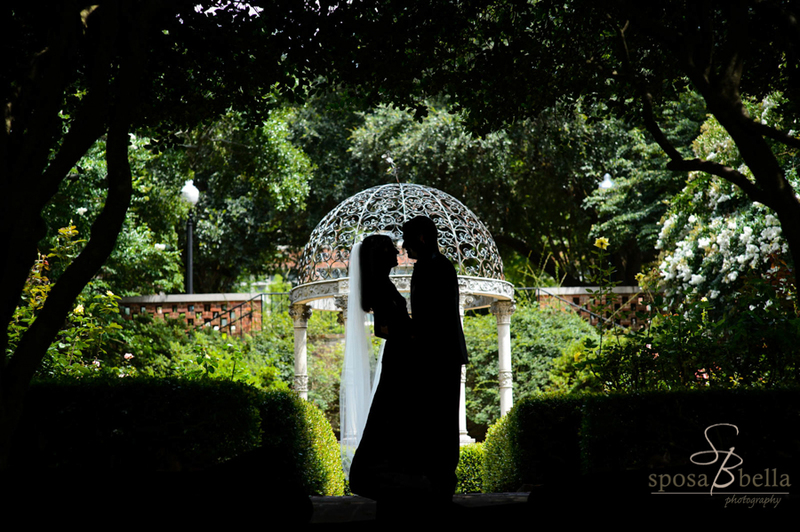 It’s quite possibly one of the most magnificent areas, with it’s beautiful green grass, fountains, and huge oak trees. 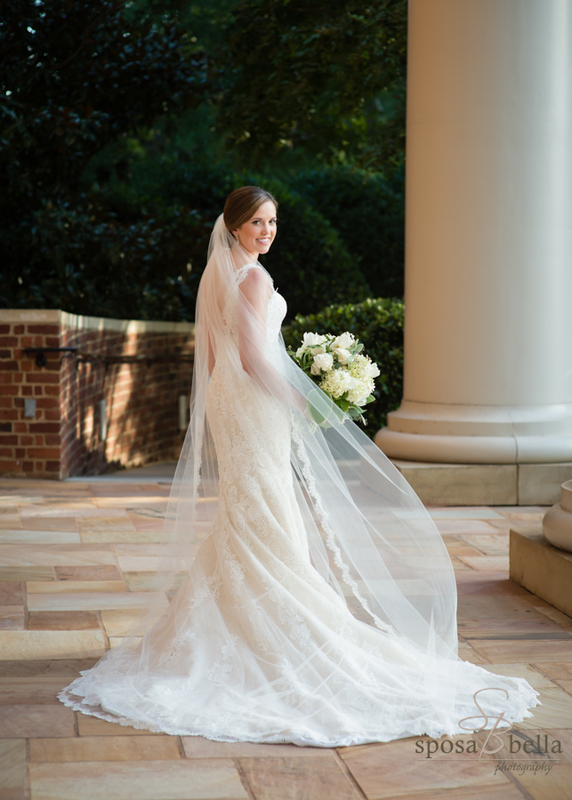 But brides who are lucky enough to get married at Furman, have their choice of one of dozens of other stunning locations around the campus to take photos. The 750 acre campus has received multiple awards from the American Society of Landscape Architecture, Princeton Review, and was most recently named one of the most beautiful college campuses in the US by Travel and Leisure magazine. 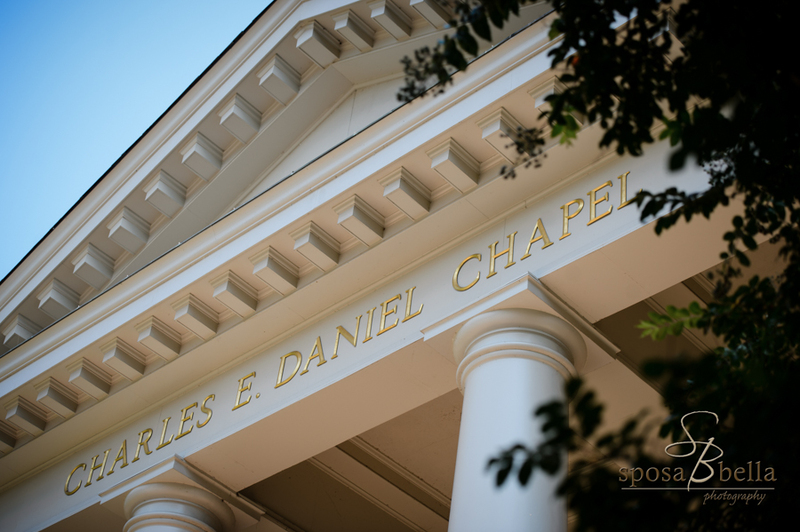 The 27,000 square-foot Daniel Chapel boasts the longest center aisle in Greenville. 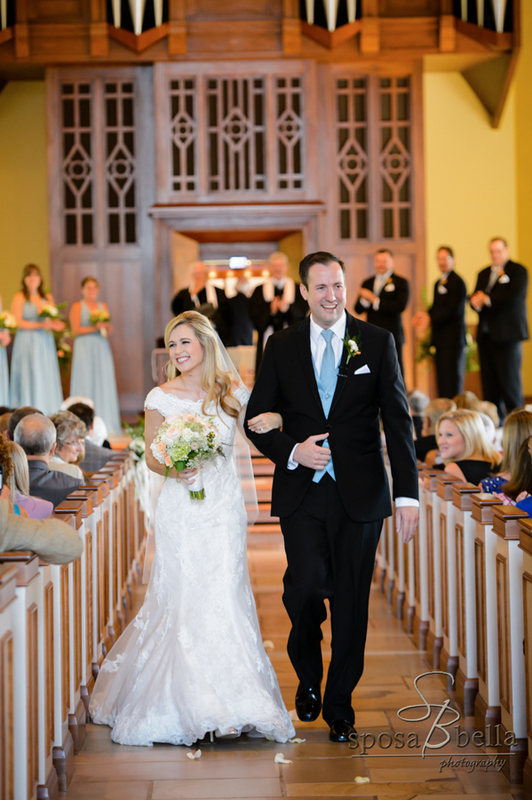 The stone floor aisle is lined with solid wood pews that seat almost 400 guests, and the outer walls of the chapel have floor to ceiling windows. 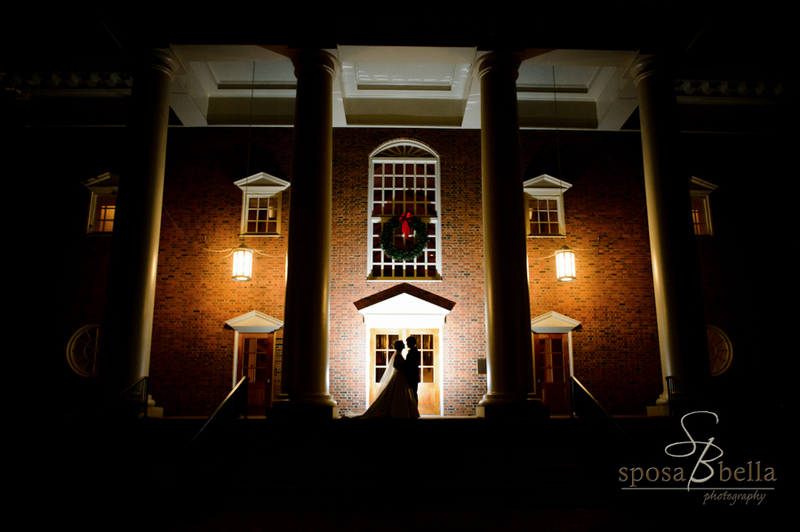 My personal favorite unique detail of the chapel are the round windows located in the front and back of the sanctuary. 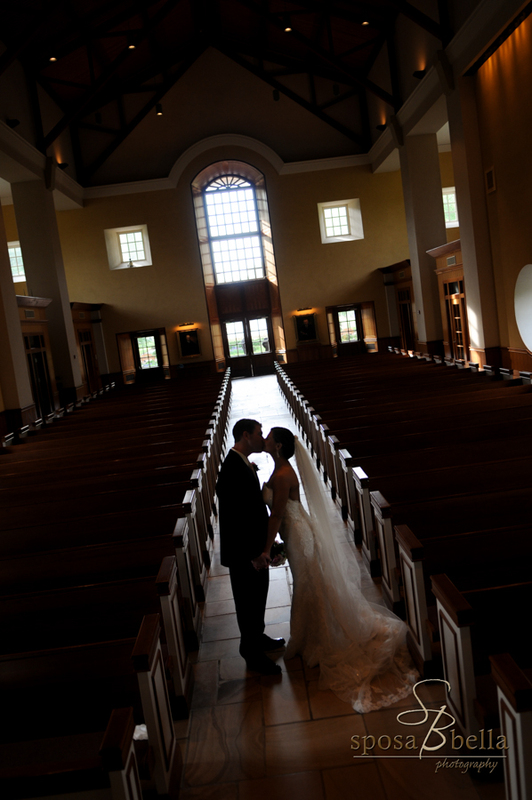 The photography policy of the chapel requires that photographers stay behind the last pew. 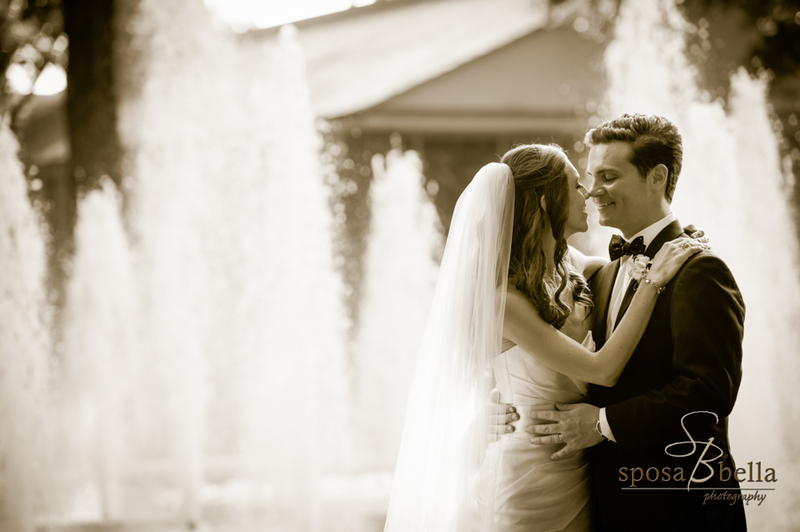 That can be challenging for most photographers due to limitations on the equipment they have and can bring to weddings. 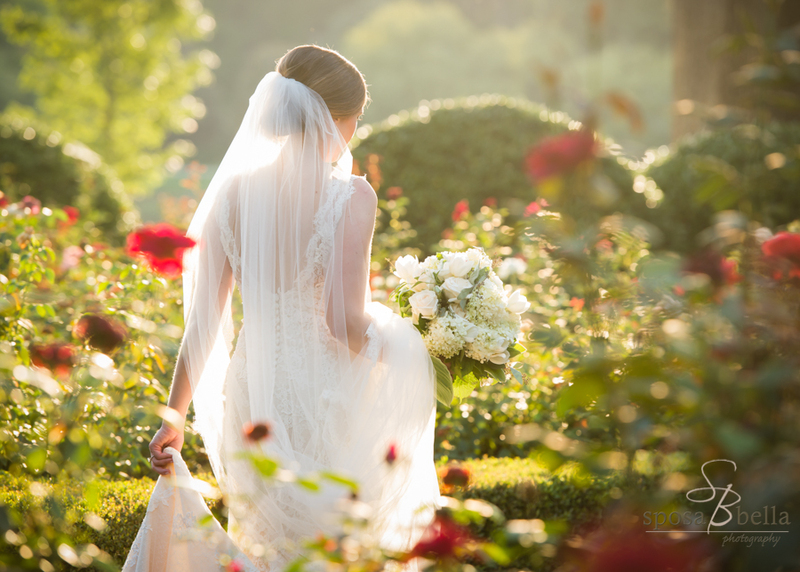 A lens suited for this is a major investment, but we made a decision long ago to always be prepared and do what is necessary to provide images to our clients that we would want provided to us on our own wedding day. We are lucky enough to have a 400mm lens for such situations, which allows us to take up close photos of the bride and groom from the very back of the chapel. 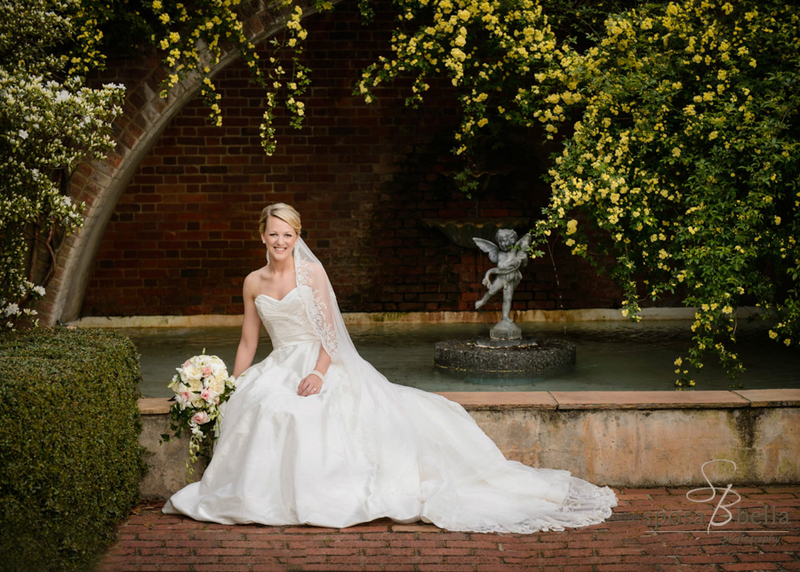 We often photograph bridal and engagement sessions around the Asian garden, Place of Peace, Cliffs Cottage Southern Living Home, and Cherrydale Alumni House. 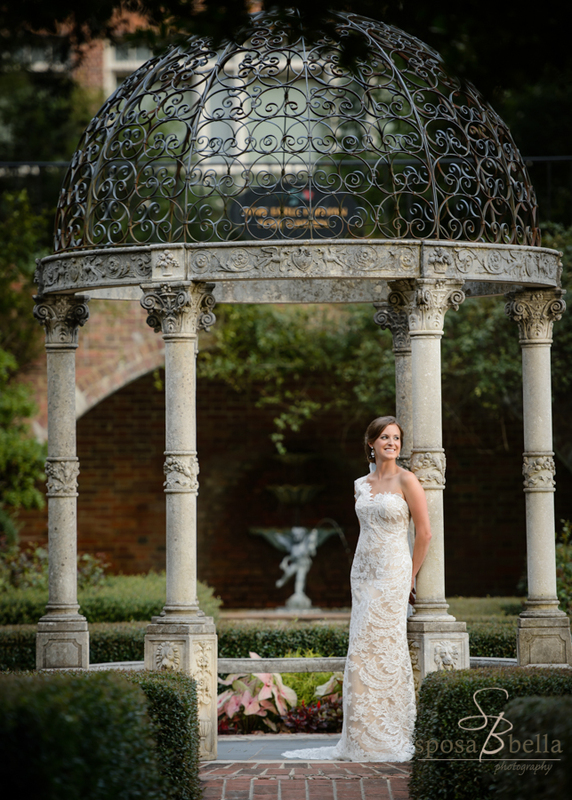 But the top two locations every bride wants are the Janie Earl Furman Rose Garden and Bell Tower surrounded by Swan Lake.